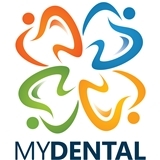 myDental (Austin) - Book Appointment Online! Our mission at myDental is simple: to provide affordable high quality and personalized dental care for your well-being. Our friendly and compassionate dental staff are committed to provide you with quality and comfortable dental treatment with a fusion of modern dental technologies and techniques making you feel right at home. We go the extra mile to make sure you and your family do not feel like just another patient. We treat you like you are part of our family, which you and your loved ones can call home for dental needs. Because at myDental, your well-being is our top priority. It was the most amazing dentist experience I've ever had... not even exaggerating! I'd recommend them to everyone. In fact, two of my coworkers made an appointment for tomorrow since I told them about my experience today.